NIA CHARLESTOWN NEVIS (December 08, 2016) — Thirteen single-parent families have benefited and are in better financial situations after three years on the Restore Inspire Secure and Empower (RISE) programme on Nevis. The pilot programme commenced in 2013. Junior Minister in the Ministry of Social Development Hon. Hazel Brandy-Williams said at a sitting of the Nevis Island Assembly on December 01, 2016, that the RISE pilot programme, is responsible for self-sufficiency of 70 percent of the 13 families who were involved. She said the programme sort to remove persons from the welfare assistance programme executed by the Department of Social Services. The participating families were selected for the project. However, she said the department continues to monitor the families, to ensure that they do not revert to their previous situations and continue to implement the lessons learnt while on the programme. Mrs. Brandy-Williams singled out one of the participants who has excelled in changing her situation. “I want to highlight a single parent…a mother with a number of children. When she entered that programme, her condition was such that she lived from pay cheque to pay cheque. 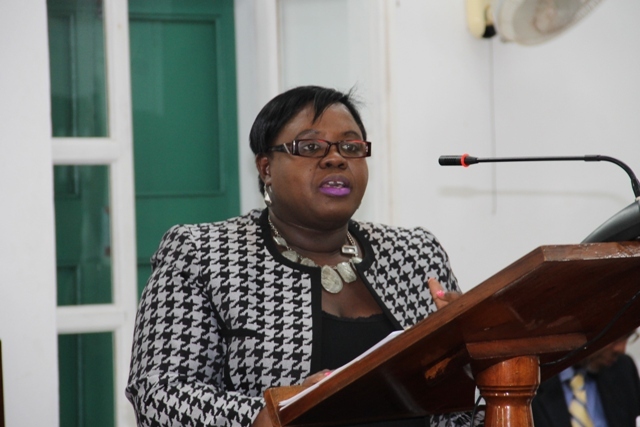 She didn’t have a savings but going through the rigors of the programme and sticking to it, I am happy to report…that individual, was able, at the end of three years, to purchase a lot of land from the [Nevis Housing and Land Development Corporation]. “Through the assistance of the Ministry of Social Development and Social Services Department, she is now constructing her own dwelling home… It is our view, that she will be able to enter her home for Christmas,” she said. The Minister also pointed out that most of the participants had done well and are off the welfare system and as a result now have more sustainable livelihoods. The Department of Social Services, in the Ministry of Social Development, spans a wide section of the development of people on Nevis, with Senior Citizens, Family Services, Gender Affairs and Probation under its purview.